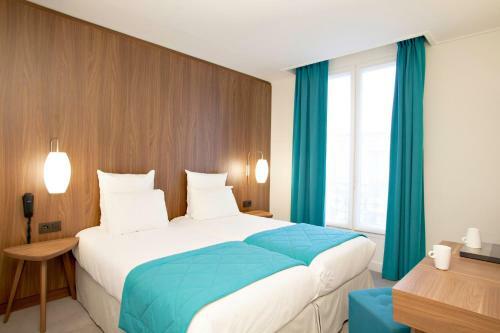 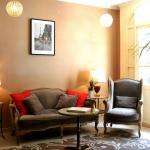 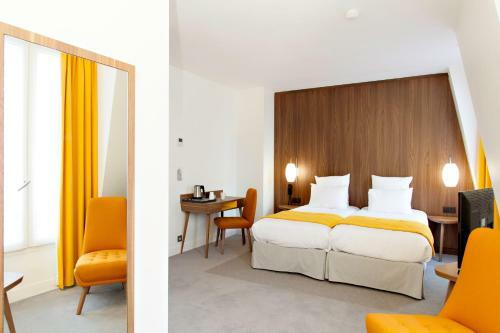 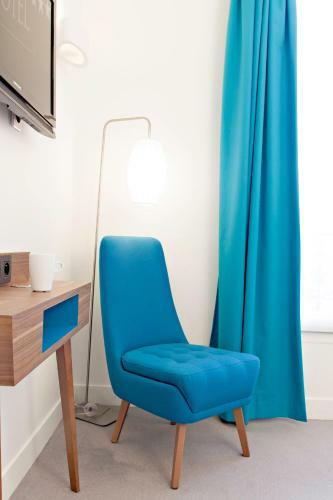 61 Paris Nation Hôtel is just a 2-minute walk from Place de la Nation and a 15-minute walk from The Bois de Vincennes. 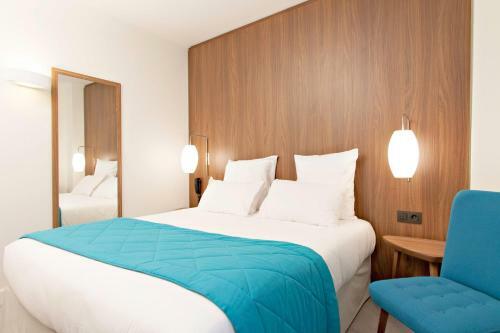 Decorated in a retro-chic 1960s style, this hotel offers soundproofed rooms with free Wi-Fi. 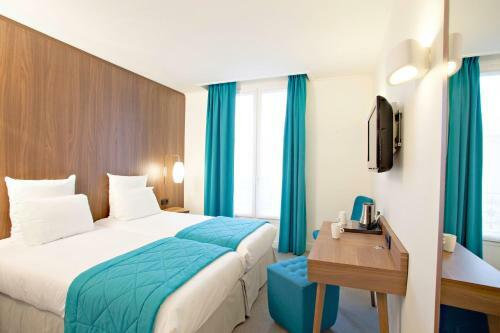 Some of the rooms have a view of the hotel's courtyard.Guest rooms at the 61 Paris Nation Hôtel are simply furnished and equipped with satellite TV and Canal + channel, a phone and a desk. 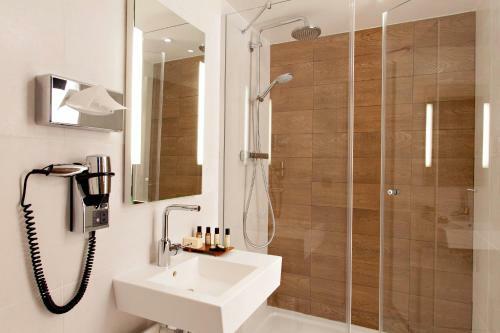 They all feature air-conditioning and an iPod docking station. 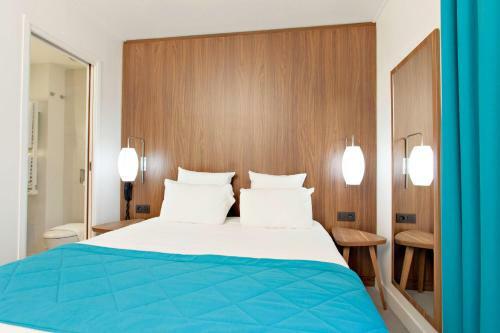 All rooms are serviced by an elevator.A buffet breakfast is served each morning in the hotel's modern breakfast room or in guests' rooms upon request and there is also an option to have a cheaper, express breakfast. 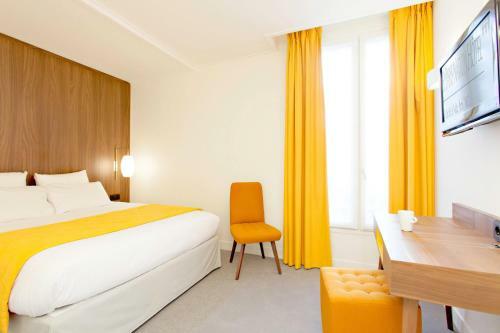 There is a minibar and a welcome tray in the rooms.The reception desk at 61 Paris Nation Hôtel is open 24 hours a day and offers a ticket reservation service for shows and excursions. 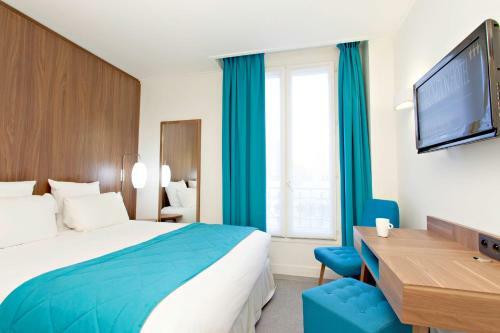 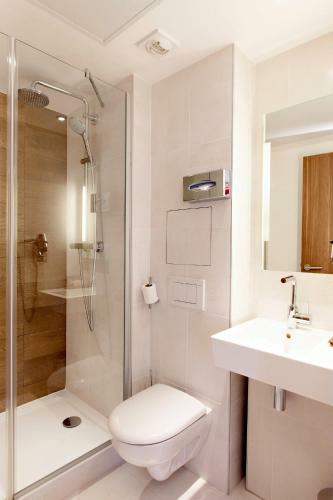 Additional facilities available include free newspapers and luggage storage.Porte de Vincennes Metro Station is located 180 metres from the hotel and offers direct transport to The Louvre Museum and The Champs-Elysées. 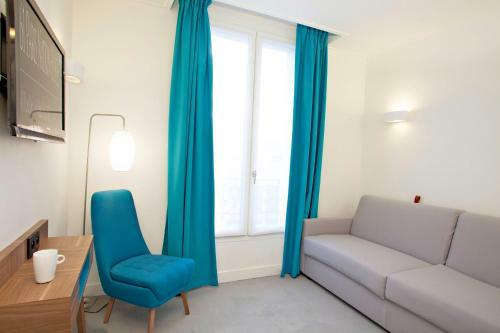 The RER allows guests to go directly to Disneyland and La Défense.